This dataset shows the Medicare Shared Savings Program Accountable Care Organizations (ACOs) beneficiary provider summary for 2014. The Shared Savings Program ACO participants are groups of doctors and other health care providers who voluntarily work together with Medicare to give high-quality service to Medicare Fee-for-Service beneficiaries. Congress created the Shared Savings Program to facilitate coordination and cooperation among providers to improve the quality of care for Medicare Fee-For-Service (FFS) beneficiaries and reduce unnecessary costs. Eligible providers, hospitals, and suppliers may participate in the Shared Savings Program by creating or participating in an Accountable Care Organization. The Centers for Medicare and Medicaid Program (CMS) created standard analytical file Shared Savings Program (SSP), Affordable Care Act (ACO) and public-use file (PUF) to efficiently satisfy the requests for SSP ACO data. 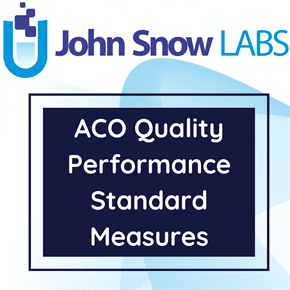 Centers for Medicare and Medicaid Program (CMS) published the ACO-level public-use file (PUF) containing ACO-specific metrics as well as summarized beneficiary and provider information for each performance year of the SSP program. The Shared Savings Program (SSP) will reward ACOs that lower their growth in healthcare costs while meeting performance standards on quality of care and putting patients first. Participation in an ACO is purely voluntary. Medicare Shared Savings Program (Shared Savings Program) Accountable Care Organizations serve Medicare Fee-for-Service beneficiaries in 49 of the 50 States and the District of Columbia. Since ACOs first began participating in the program in early 2012, thousands of health care providers have signed on to participate in the program, working together to provide better care to Medicare’s seniors and people with disabilities. The 2014 Performance Year Shared Savings Program (SSP) Accountable Care Organization (ACO) Pubic use file (PUF) has several variables added which include State(s) where beneficiaries reside, Advance Payment Recoupment Amount, Hospital Outpatient Expenditures, Average expenditures for Aged, Dual, Non-Dual, Disabled and ESRD enrollment types for benchmark years 1, 2, 3; Average Aged, Dual, Non-Dual, Disabled, End stage renal disease (ESRD) hierarchical condition category (HCC) risk scores in the performance year (PY) and benchmark years 1, 2, 3; Average Historical Benchmark; Number of Assigned Beneficiaries with enrollment types; Aged, Dual, Non-Dual, Disabled, ESRD in PY.